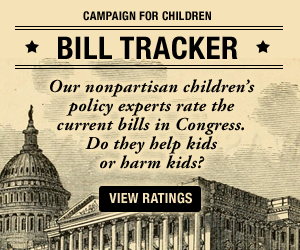 On behalf of First Focus Campaign for Children, a bipartisan children’s advocacy organization dedicated to making children and families the priority in federal budget and policy decisions we write to ask that you consider the following proposals to put an end to the inhumane practice of separating children from their families at the U.S. border (H.R. 5414, H.R. 5950, H.R. 2043, H.R. 2573). It is imperative that Congress and the administration do not use the torture of children and families for deterrence tactics or immigration enforcement. In May, the Trump administration issued a zero-tolerance policy for families crossing the U.S. border. According to a recent report, 1,887 new children are now in the custody of the Department of Health and Human Services (HHS) since the enactment of this policy just one month ago.1 This initiative has created a new category of unaccompanied children who will rely on HHS for their safety and well-being. While the stated purpose is to uphold the rule of law, cruelty as a deterrence tactic has been the point of this initiative from the start. Congress and the administration must work together to find solutions to the immigration debate that do not treat children and families as collateral damage.